Fr Stephen on a recent visit to Rome met one of his fellow ex-Provincials who is now the first Camillian Bishop of modern times, Bishop Prosper Kontiebo of Burkina Faso. 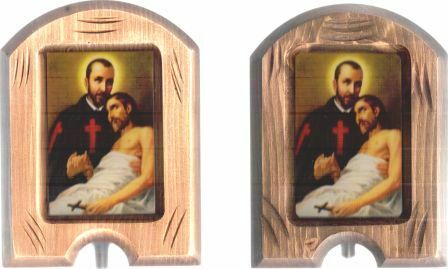 Bishop Prosper was appointed by Pope Benedict on the occasion of World Day of the Sick last February 11, 2012. God bless you Prosper. Above, Bishop Prosper and Fr Stephen in the Maddalena Generalate. 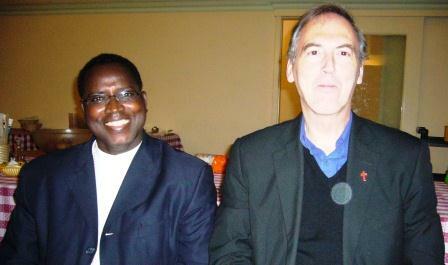 Fr Stephen also met Fr Aris, the Head of the Camillian Task Force. 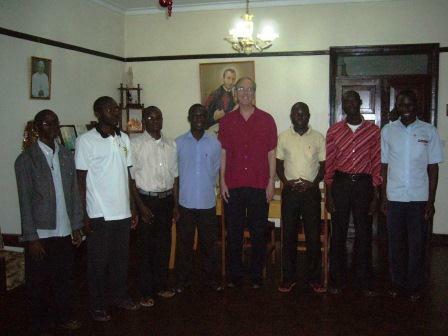 At the beginning of November Fr Stephen visited the Community in Uganda. It was truly an excellent visit and there will be more news to follow after November 23. All the men are well thank God and the students in Jinja are making steady progess. above Frs Russell, Shibin, Stephen, Richard & Johnson. our local neighbours. After the terrible fire last year that destroyed their home we are delighted to say that they now have new accomodation. God bless the Sisters for all their work. Fr Suneesh Matthew is the latest member of our comunity and, at thiry three years of age, the youngest. 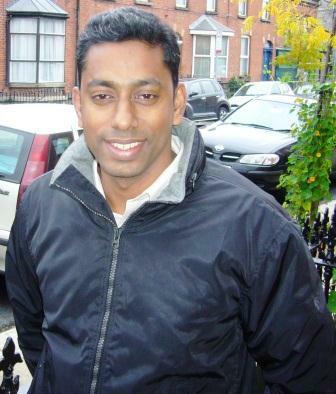 He has joined us from Kerala, a province of over 33,000,000 people, in the south west of India on the Gulf of Arabia. Fr Suneesh is both a priest and a nurse. 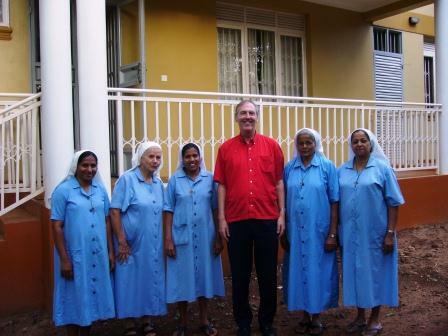 He will minister to our residents in the Nursing Centre, caring for both their pastoral and clinical needs. Studying for a degree in general nursing at Bangalore he qualified in 2006. 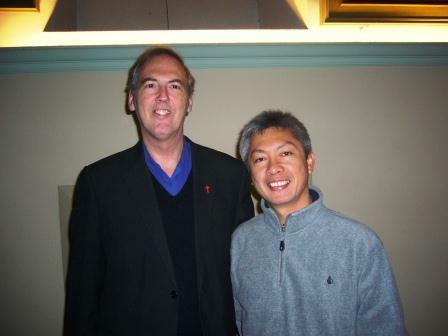 He was later ordained to the priesthood in 2007. 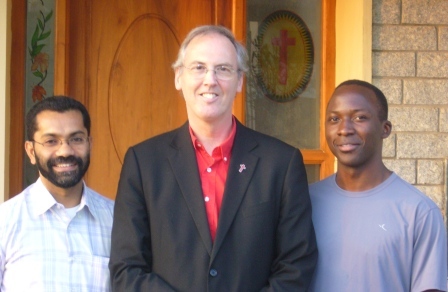 Before coming to join us in Killucan, Fr Suneesh was nursing in Mangalore at Snehasadhan Care and Support Centre for people living with HIV/AIDS. EUCHARISTIC CONGRESS DUBLIN 2012, Come and see us in the RDS. Above picture, a new type of Holy Water Font. On sale at the RDS. 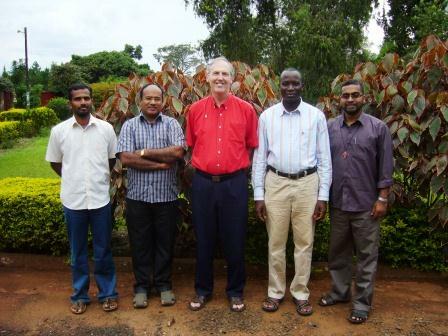 the above photo shows Fr Reji, Vice-Provincial India, Fr Stephen Foster, Anglo-Irish Provincial and Boniface in India earlier this year.